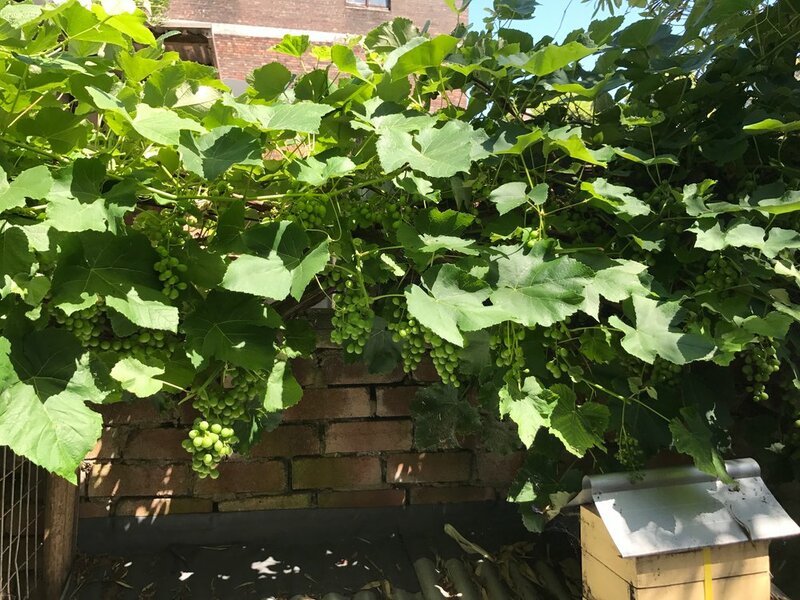 Money raised from entry fees to Sydney’s Sustainable House (http://www.sustainablehouse.com.au/) on the Australia-wide national Sustainable House Day (https://sustainablehouseday.com/) on 17 September 2017 has contributed to new investments in our Chippendale road gardens. 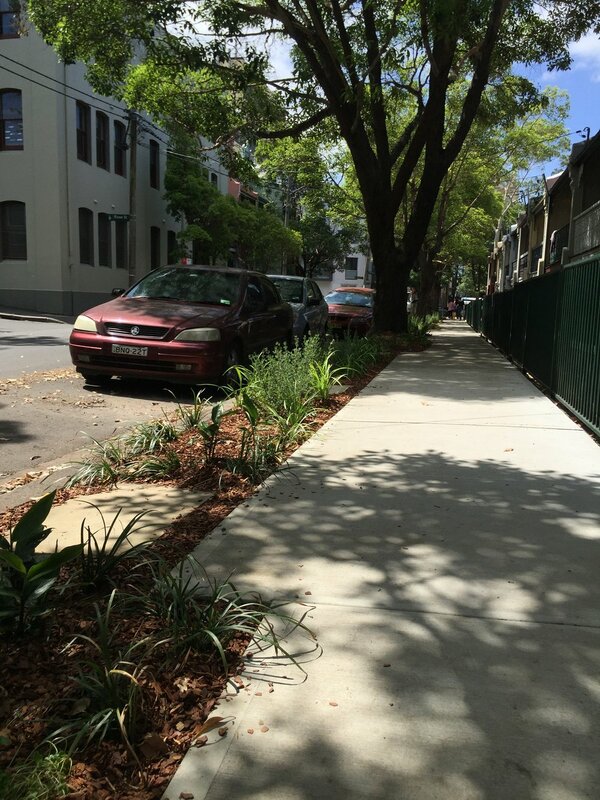 We have a new wheelbarrow, hose reel, plants, mulch and other investments to share and enjoy in our Chippendale road gardens. Entry fees contributed $520 all of which went into the new equipment and plants. In anticipation of funds being raised from the event, Michael Mobbs took a punt and purchased plants and equipment in advance for planting on the day so that volunteers could share some gardening fun, too, the total cost of which was $563. And so it goes; got to love our gardens. 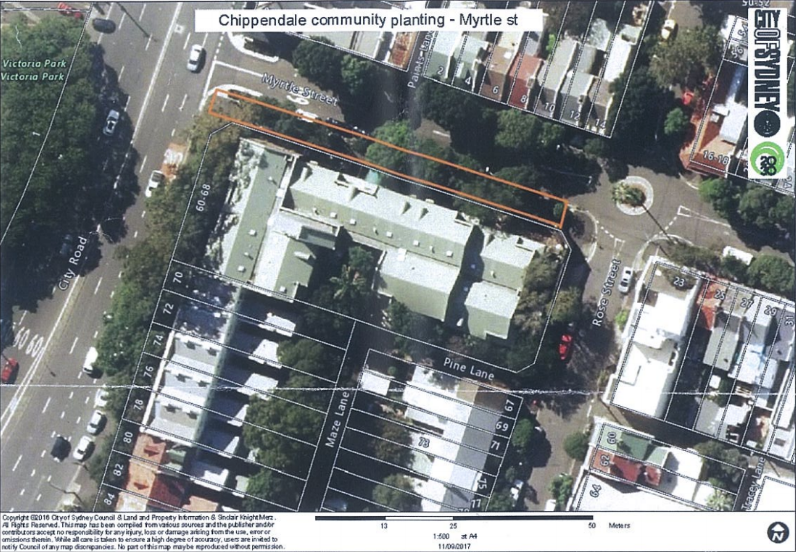 The City of Sydney invites you to a community planting event at Myrtle St nature strip in Chippendale. When: Saturday 7 October 8am to 1pm. What to bring: Sturdy covered shoes, hat, sunscreen and gardening gloves. 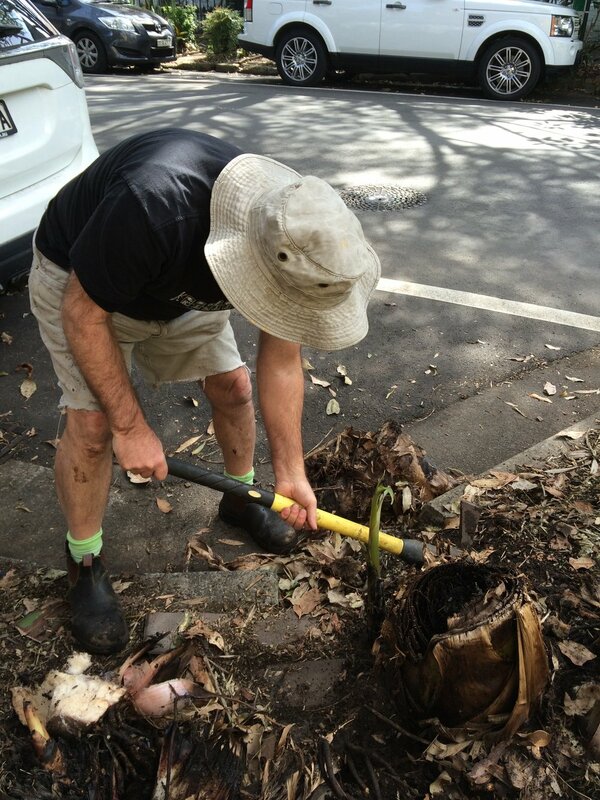 The ground will be prepared prior to planting and the council will be working with local residents and the Sustainable Chippendale group to replant bush tucker plants, native shrubs and grasses. These plants will green the street, provide edible plants and as well as encouraging more native bees in the inner city. The city staff will be on site to provide planting demonstration and safety talk. We look forward to seeing you there. Curious about how one can live off-grid int the middle of a bustling city? Come join us on Sunday September 17 when Sydney’s very own Sustainable house, one of over 200 sustainable houses across Australia, is open for tours in celebration of Sustainable House day. Tours are $25 fee per person on the day. Money raised will be donated to Chippendale road gardens projects. The funds will be used to buy: rotating compost bins, fruit trees, plants, gloves, mulch, and such. To enrich our lovely and much-admired road gardens. When these are bought we can have a community planting day and anyone may choose what’s been bought to plant at their place. Cost: $25 with 100% of funds going to Chippendale road gardens project. Booking: Just turn up on the day, no booking required. One FREE place in Michael Mobbs' Low Bills Living Course up for grabs! Murat Keskin, Co-founder, Executive Director, Ooooby Australia, Food expert presents How to Buy and Source Healthy Local Food. 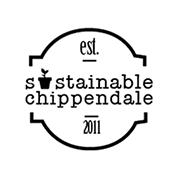 Local sustainable expert Michael Mobbs' is generously offering one free scholarship for a Chippendale resident to the July / August 2017 course. The Chippendale resident may join the course without fees (a saving of $990) being delivered in Michael's Chippendale house over four days starting 22 July, finishing 6 August. Why you wish to do the course and what actions and ideas you would like to achieve for yourself and Chippendale. Each submission will receive a reply and an opportunity to discuss whether the course is a good fit for you and your plans. "It would be terrific to have a local who is passionate, engaged in our lovely Earth and wishing to take some actions to have a low bills life." 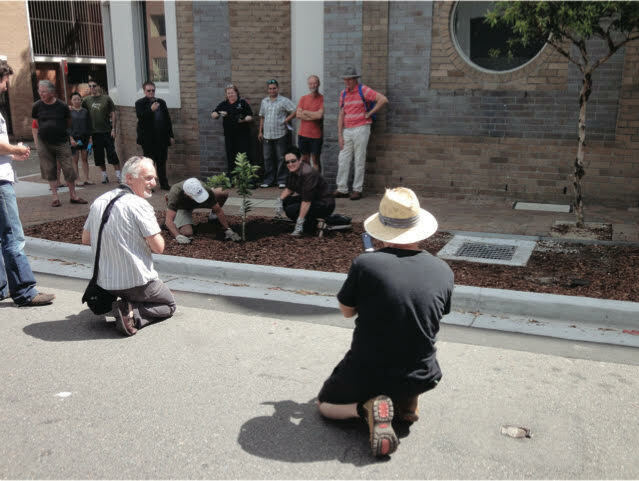 This week Sustainable Chippendale residents and Sydney City Council planted, mulched and then watered new edible road gardens in Shepherd St, Chippendale. 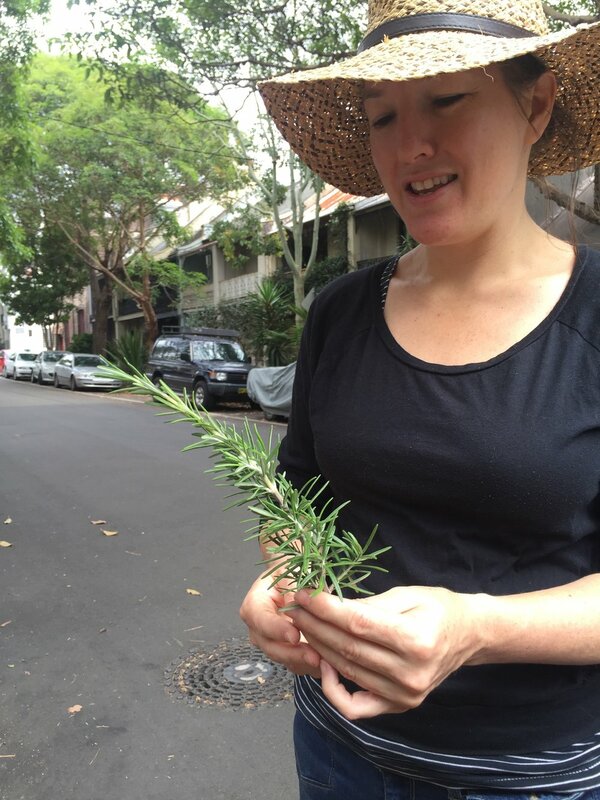 - keep and let the stem dry after you harvest the rosemary leaves and then use the stem as a skewer to impart a delicious flavour to your grilled Shish kebab vegies. This was a WEEKLY REPORT, written by the lovely Jessica Tang on the 29/08/16, and somehow we missed publishing it! But better late than never, as this is all still very interesting and relevant! A Chinese proverb says ‘spring is sooner recognised by plants than by men.’ Although the chill of winter lingers in air during August, those tiny pink pulps of finger limes remind us that springs is coming. The finger lime Citrus australasica is the most well-known Australian native citrus. They are hardy and thorny, producing distinctive finger shaped fruit with small bead-like crystal pulps. Although those bright pink pulps look like flower buds, the finger lime actually blooms in late summer and autumn with white or pale pink, and fruits ripen through winter to spring. The fruit of finger lime is popular among top restaurants around the world, and it can be used in drinks, desserts, jams and as a garnish. There are two other popular citrus trees in our community garden, Tahitian lime Citrus aurantifolia and Kaffir lime Citrus hystrix. They both have edible fruits or leaves. Unlike finger lime, Tahitian lime is thornless, the fruits are round-shaped, lemon-yellow with smooth thin skin. Kaffir Lime is native to Indonesia but wildly grown worldwide as a shrub for its aromatic leaves used in Thai cuisines. Kaffir lime is the shortest one among other citrus, which only reach 1.5m in height. They are easy to be recognized by their unusual double lobed leaves and knobby fruits with little flesh. This week we also cleaned the weeds in some pots and planted with vegetable seeds. Here I would like to share some tips on sowing the seeds. * Read the instructions. It is important to choose the right seeds in the suitable region and season. We decided to sow some peas at the end of August. Cooler seasons in the subtropics are the ideal time for growing peas. Luckily they are easy to grow, fast germinate in 7 to 10 days and they are productive. * Removed all the weeds and roots, and mix the soil. 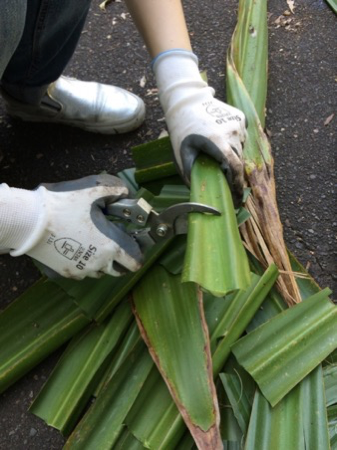 Gently pull the weeds out and carefully remove their roots in soil. In fact, the best time to hand-pull weeds is after a drenching rains, or pre-sprouting the soil before removing the weeds. Weeds are valuable too. 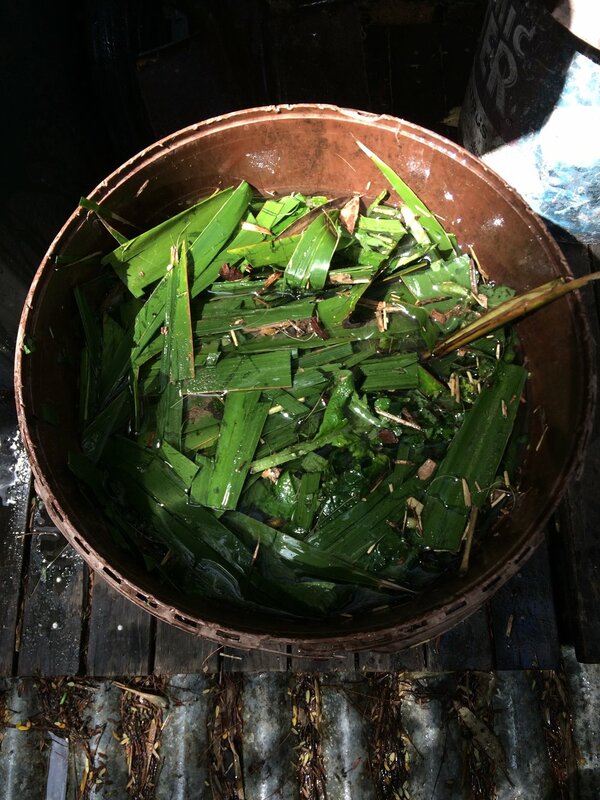 Some of the weeds are edible and may have medication values. Common edible weeds include: chickweeds (Stellaria media), Dandelion (Taraxacum officinale), Wood sorrel (Oxalis), Nettle (Urtica urens). Weeds can be added to composts if the seed heads of weeds haven’t formed. * Prepare a wick for pot plant with dark cloth. When placing the plot on vertical garden, the wick can water the plants from below and draw up the moisture through the soil. * Fill the clean pots and press down the soil, sow the seeds and light covered it with soil. Cover the soil with mulches which help to keep the soil moisturized and warm. Some peas need beside trellis to support and direct the way they grow. * Keep the soil moist but not too wet, and make sure they get enough sun. Our vertical garden faces north and south, which is a good position for plants to receive sun light. More on planting from seeds here. Read about weeds control here. The alpine strawberries (Fragaria vesca) are shade-tolerant ornamental edibles with beautiful small white flowers and sweetly flavoured fruits. They are easy to grow and well behaved in the garden. With the help of this instruction you can have this beautiful fruit growing in your own garden! · Get the seeds from local Nurseries or online shops. 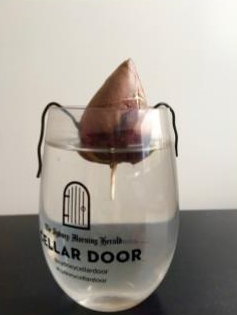 · When and where to sow the seeds? The alpine strawberries are best planted in early Spring. 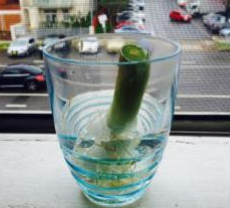 They can grow in full sun, and in warm areas like Sydney, they also thrive in half day sun and shade. They love the rich, fertile and well-drained soil with consistent moisture. Placing a sheet of permeable fabric at the bottom of seed bed tray or small seeding pot. This allows the water to drain without losing soil. Fill two-third of the container with fine seed-starting mix and sow seeds 3cm apart and 2cm deep. Keep the container evenly moist but not soggy, and maintain a temperature of approximately 15 Celsius. Feed the seeds evert two weeks. It often takes 2 to 8 weeks for germination. When 3 leaves have appeared, the plants should be planting out into pots in the depth of 10-15cm. Transplant to garden when well grown (approximately 2 months), and spacing plants about 30-60cm apart. It usually takes one year for strawberries to bear fruit. Matured alpine strawberry will form low-growing, leafy plants with the height of 15cm and spread to 50-100cm. They have lovely white or pink flowers, followed by red juicy fruits grown in early spring. Enjoy the fruits of alpine strawberries!